as the years pass, i realize how truly nostalgic i am about many things in life. yesterday marked the first official day of fall, and for me, there is literally nothing better! i love the cooler days, the crisp air warmed up by scarves and chunky sweaters and pretty layers of all your most beautiful things that have been tucked away since may. i love hot hot coffee and cooking and baking and bread making with the endless options from the seasons harvest. i love thanksgiving more than any other holiday (which is why we got married last year on thanksgiving weekend, and look forward to celebrating our first wedding anniversary in a few weeks! even though i keep forgetting about it :) ) and love falling into new routines, old hobbies and exciting activities to hopefully help carry us through the grey, wet winter. its funny because everyone boosts spring as this amazing and transformative time of year- where you clean and organize and get so excited and somehow come out on the other end as a new and improved you, but for me, i really feel that fall marks that time for me- and perhaps its a little bit to do with the challenging summer we have had, but right now i really and truly feel like a new wave of happiness is coming into our lives. its an incredible and beautiful season, and i genuinely look forward to the next few months of colourful leaves, fun outings with my kiddo, loading up our tiny little freezer with delicious pies and hearty soups, and seeking out new activities that the season brings to light. eating :: soup! i am such a soup monster these days- i made this one the other night and it was life changing! practicing :: patience. with everyone, including myself. mastering :: sewing- dusting off that ol' sewing machine to make stuff! learning :: how to brew kombucha. kristen powell- i need you! finishing :: pretty little liars (argh!) me and two of my gf's have started watching this series and i'm (embarrassingly) hooked! so good/bad! reading :: all the books in my bedside table. so many half started, its embarrassing. walking :: in the rain all over this town. i have set goal to work up finns endurance to be able to walk to and from preschool by the end of the year- we will see how that goes. wearing :: boots, wool, scarves, hats... man i love fall! cooking :: everyday. i need to make up for a summer full of sushi and taco takeout. working :: on growing - my business, my blog, my personal relationships... the next few months are really focused on all areas of my life that could use a little focus. traveling :: to surrounding islands and beautiful pockets of BC. 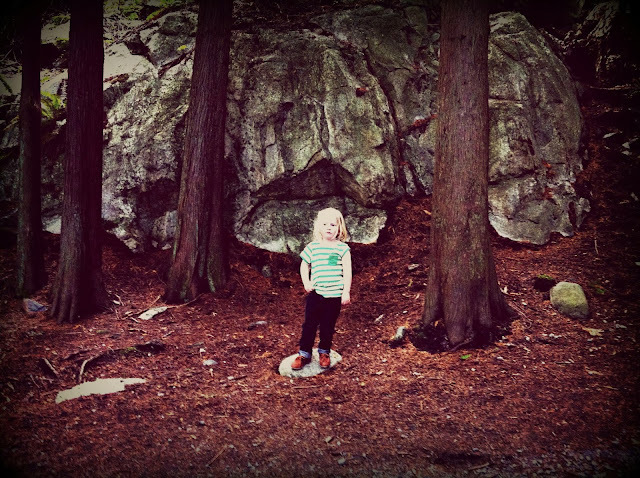 There is no shortage of amazingness around us and we are finally settled enough to explore more than our own backyard!